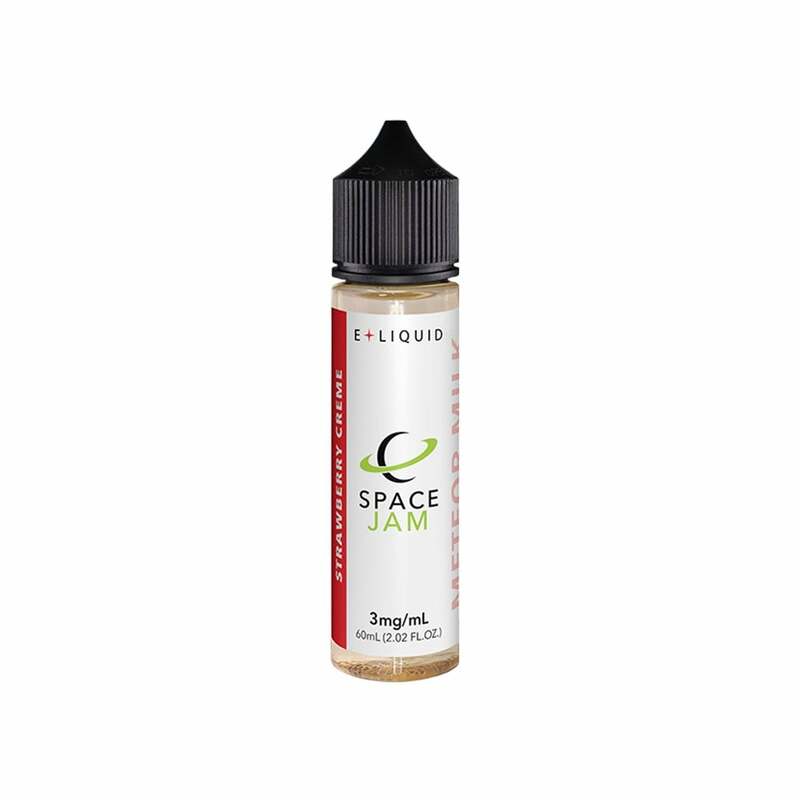 Strawberry layered on strawberry layered on strawberry: Space Jam's Meteor Milk vape juice is a sublime blend of strawberry ice cream, strawberry syrup and strawberry flavorings, mixing strawberry candy tones with natural fruit freshness. Meteor Milk's 70% VG blend delivers an extra layer of smoothness and lets you experience each flavor note in all its glory, all while puffing out thick, fruity clouds of vapor. Very sweet, very smooth, very flavorful. If you love sweet dessert flavored juices, you're going to love this juice! This juice is VERY sweet. It has the nice smooth flavor of creamy strawberry, but has a candy like sweetness. This has been my all day vape for a very long time. I like to mix it with other milky slavors as well. This juice does best with a long steep (2 weeks or more). If you love super sweet strawberry flavor, you will love this intoxicating juice. Absolutely disgusting taste, really off-putting considering the extremely high rating, aswell as the description. I was expecting a sweet dessert type vape, and instead got a horrid mouth-full of chalk. Would not purchase again.